Dr. Harry A. 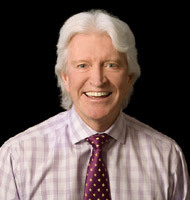 Long, DMD, graduated from Fairleigh Dickinson University School of Dentistry. Since then, he has completed literally thousands of hours of continuing education in all aspects of dentistry with a particular focus on patient care and aesthetic dentistry. He is an active member of the larger dental community as well. He belongs to the American Academy of Cosmetic Dentistry, the New Jersey Dental Association, the Passaic County Dental Society, and the American Dental Association. He is a fellow of the Academy of General Dentistry as well. Dr. Long’s commitment to his patients is evident in everything he says and does. From his passion for helping people to his dedication to the field of cosmetic dentistry, Dr. Long is committed to excellence.